Improve your workflow, grow your community, or just make life a little easier. Looking for something not listed here? Anything you can do in Discourse you can also do with its API. Discourse supports popular social login methods as well as local logins, custom OAuth2, and SAML. You can also integrate Discourse with your website as a single sign-on provider. Connect Discourse to your favorite chat provider to get notified about new posts. Set up rules to see new topics and replies from only the categories you're interested in. You can even post chat transcripts directly from Slack to Discourse. Learn more about what Discourse can do with your chat provider. Get some help keeping the lights on by monetizing your site with the Discourse Advertising Plugin. Insert display ads above, below, or in-between your content. Discourse can even convert Amazon links to affiliate links automatically. Configure a few settings and watch the data start rolling in. With our Patreon and Memberful integrations you can make your entire community contributors-only or create special contributor-only categories. Already using Patreon? check out our free hosting for Patreon creators. Enable 2-way integration with our Discourse Code Review plugin and start having more in-depth development discussions. You can automatically create new topics for new commits, and replies in Discourse are mirrored back to GitHub. Mark commits for follow-up, assign reviews, and more! For a closer look, check out how the Discourse team uses it on review.discourse.org. Looking for a lighter GitHub integration? Discourse GitHub enables linkbacks in GitHub when a commit is linked to from Discourse, allows you to award Discourse badges based on Github contributions, and converts all GitHub links to GitHub permalinks. 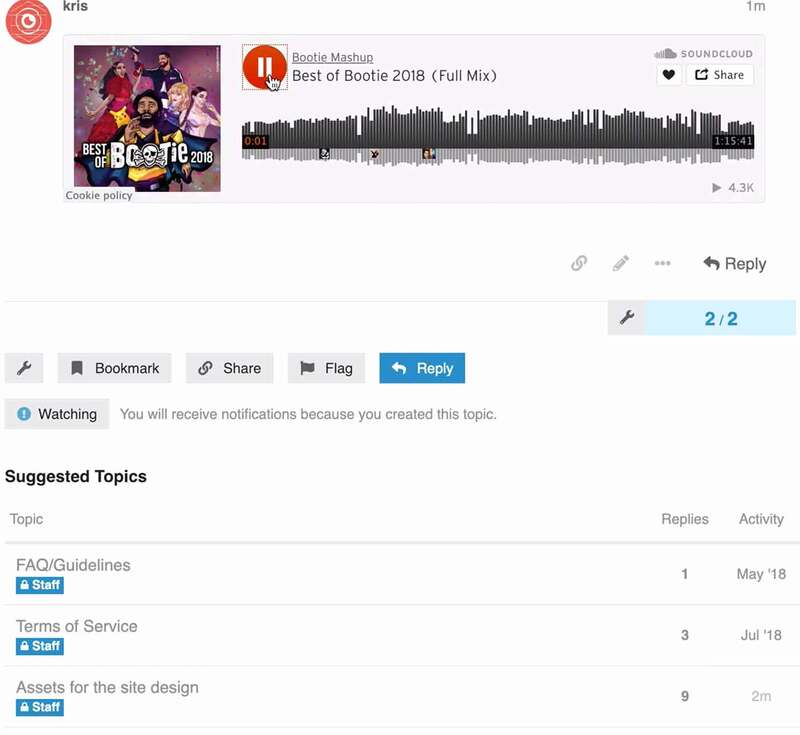 With our Zendesk plugin you can create tickets automatically from new topics in Discourse. Generate tickets from specific Discourse categories, add custom tags to tickets in Zendesk, and sync comments. With our Google Perspective API Plugin you can utilize Google's machine learning API to automatically monitor the sentiment of discussions in your community. You can warn users before they post something rude or disrespectful, automatically flag posts that may be toxic, and optionally scan private messages for abuse. Use our Translator plugin to integrate Google Translate or Microsoft Translator and allow users to see translations by simply pressing a button. 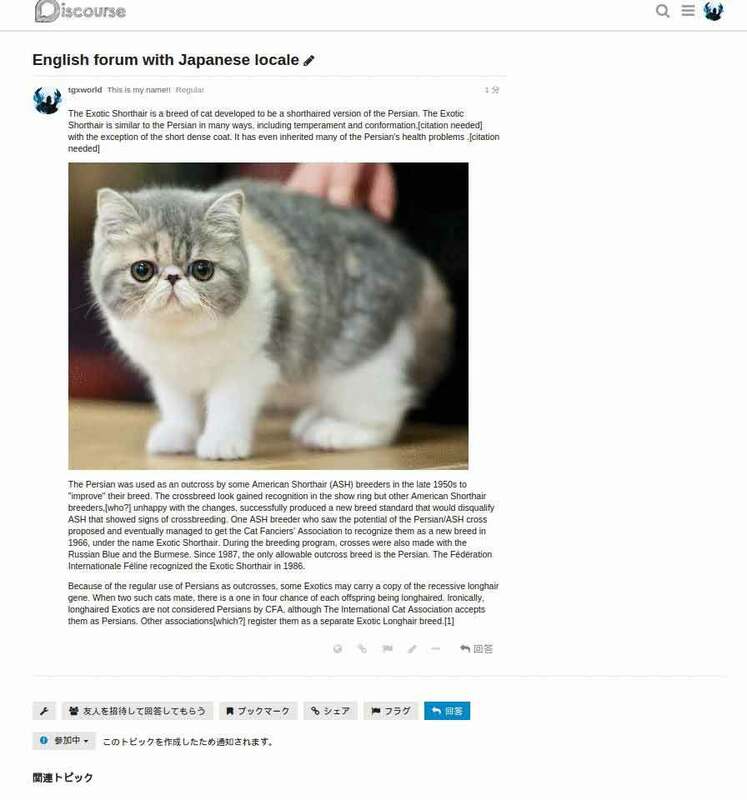 Each post is only translated once per locale, which saves you money too. The WP Discourse plugin allows you to closely integrate your Wordpress site with Discourse. Automatically create a new Discourse discussion for every Wordpress post, embed Discourse discussions in Wordpress, use Discourse as an authentication provider for your Wordpress site, or use Wordpress as the single-sign on provider for your Discourse community. Paste a link onto a new line in Discourse and you get a preview... it's that simple. Sharing a YouTube or Vimeo video? We'll embed it. Great deal on Amazon? We'll embed a preview and include the price. Sharing a GIF from Giphy? Yep, we embed it. While you're here share a Soundcloud link, Discourse will embed audio playback too. Stop spam with Akismet, embed video with Brightcove, supercharge search with Algolia — we're constantly building new integrations so you can do more with Discourse. With Discourse's webhooks you can also integrate with the hundreds of services available via Zapier or IFTTT. Trigger events based on user behavior, new topics, flags, or any other action taken in Discourse — the possibilities are endless! Discover how Discourse works for you.